They're making their lists and checking them twice...making sure that every toy they have seen advertised this year is on there! Making sure that SANTA CLAUS brings to them their hearts desire. 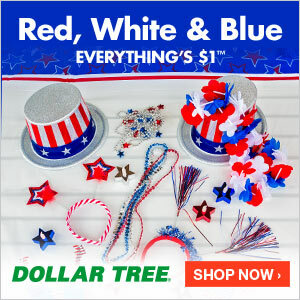 It's also that time of year when mom's and dad's everywhere start buying those "wish list" items before they are sold out of stores and they have to borrow, beg and pay way more than they should for toys on e-bay or whereever else they can find them. 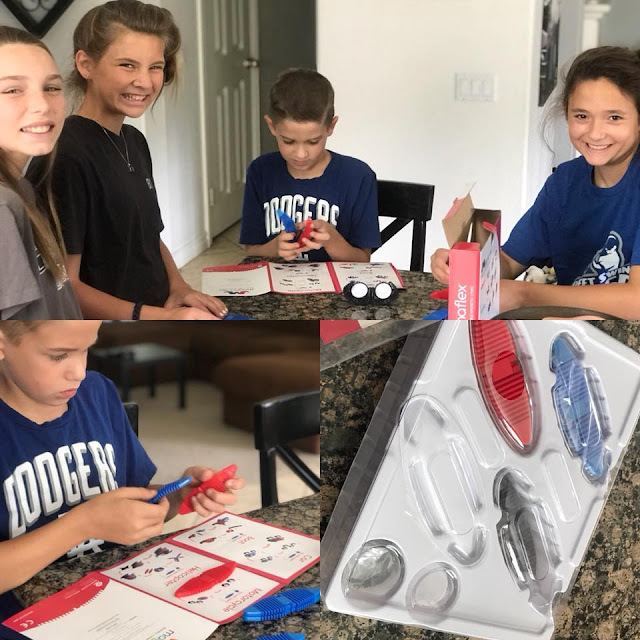 SO LET ME GIVE YOU A HEAD START on a toy that boys and girls alike (but especially boys) are going to love from WowWee. 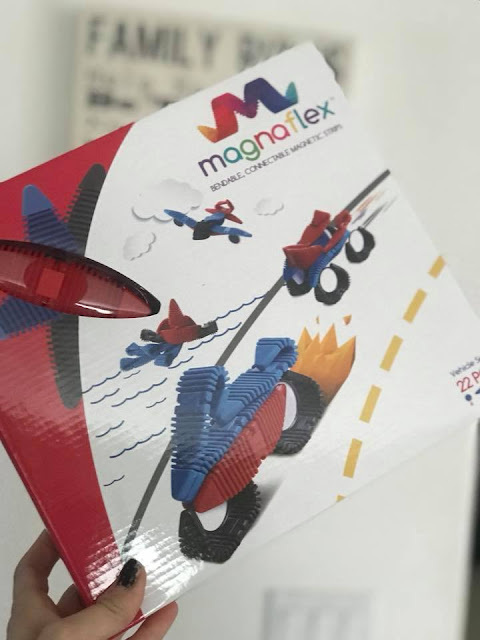 The Magnaflex Set is not only super fun, but also taps into the creative side of play for your kids. They can bend them, stick them together and make all sorts of shapes & objects. Our youngest son was enthralled & intriqued by them right away! 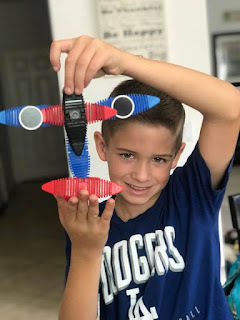 He built the plane immediately (which did take him some time because the magnets stick together and it takes some work to get them to cooperate)...but he was super excited and proud about his final product! And I'll admit, it was pretty cool! I mean...look at his proud little face! Even the older girls (and our daughter's friends) got into some of the creative fun...when he was willing to share! HA HA! 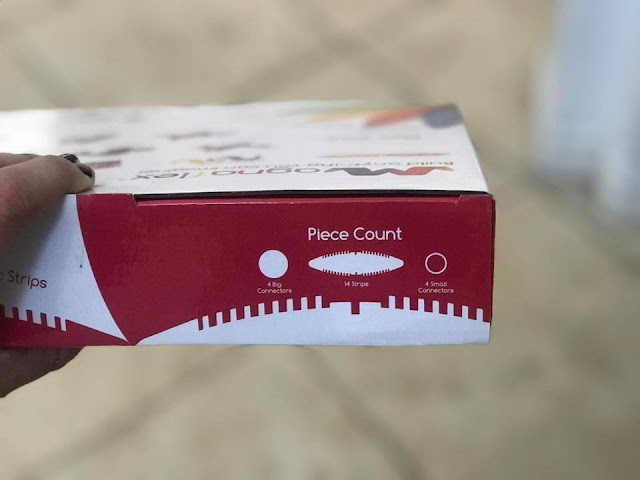 This Magnaflex Kit comes with enough pieces to create lots of different things, but can also be combined with other sets to create even bigger & more incredible things! 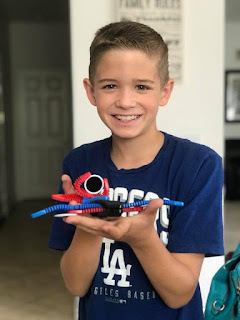 I'm SERIOUS...this is a toy that will bring hours of imaginative fun to your children & maybe even some peace and quiet in your home as they are creating and building. 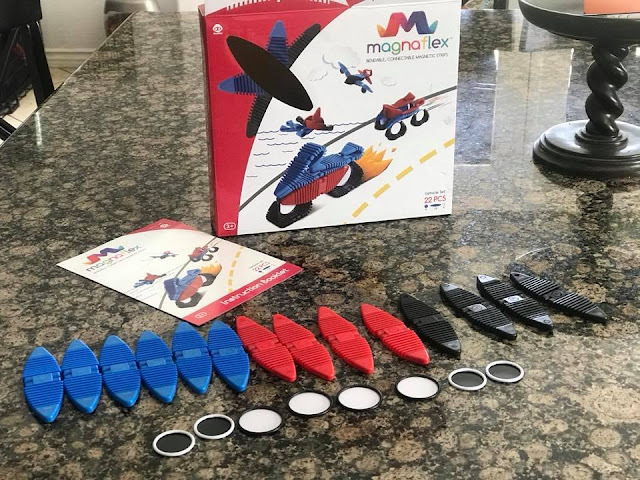 You might also find yourself playing with the Magnaflex kit, with your children...because they are fun for all ages too! 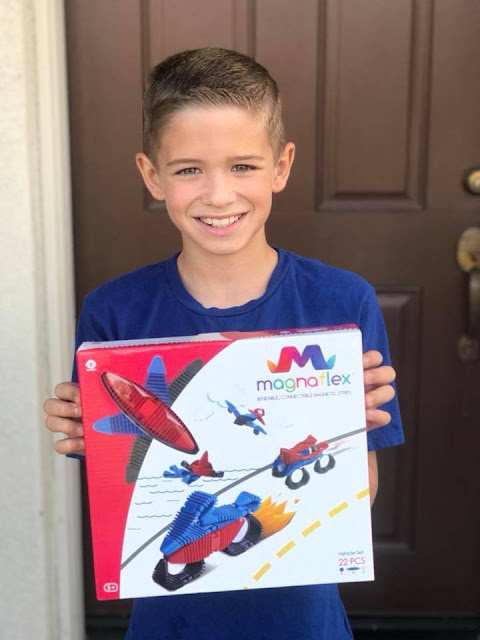 CLICK HERE to learn more about Magnaflex and where you can purchase some for your kids this Christmas!